Fire Sprinkler Fabrication | Morristown Automatic Sprinkler Co. Complete your fire sprinkler project quickly with Morristown’s fire sprinkler fabrication team. 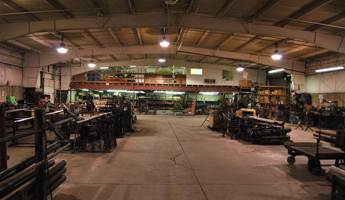 In order to best serve our valued customers, Morristown Sprinkler has a fabrication shop right on our location. Our fabrication shop allows us to provide fire sprinkler fabrication services to our customer’s specifications, and it allows us to complete our projects in a quicker and more efficient fashion. Moreover, the savings we gain from having our own fabrication shop are passed on to our customers. Also, we always have an array of hard to find materials on hand. Therefore, we sometimes sell materials to businesses or residents in need of a certain item. If you are looking for materials for your project, feel free to give us a call to see if we have it in stock.